Liverpool ace Alex Oxlade-Chamberlain has seemingly aimed a subtle dig at Arsenal fans as he discussed his latest recovery from injury. The 25-year-old has been sidelined since April after suffering a serious knee injury, and he has been discussing his comeback this week as he aims to return before the season is over. Jurgen Klopp will undoubtedly welcome him back into the fold with open arms, as will the Liverpool faithful after he made such a positive impression in his first campaign with the Reds last year. However, he has seemingly hit out at some Arsenal fans over the way he has been treated in the past with regards to his injuries in terms of the feedback he has received. 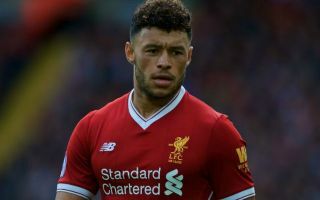 While contrasting it to the way in which the Reds have supported him, Oxlade-Chamberlain hit out at the pressure he’s faced previously and says it’s been refreshingly different this time round through the messages of support from fans now he’s at Anfield. “I’ve had injuries in the past where it’s been difficult because pressure from fans has been ‘he’s injured again’ or ‘we can’t trust him he’s always injured'”, he said, as seen in the video below. It’s unlikely to go down well with Arsenal fans, but perhaps he has a point. Although, he certainly did struggle with injury setbacks in north London on a regular basis and it would undoubtedly have been a source of huge frustration for himself too.